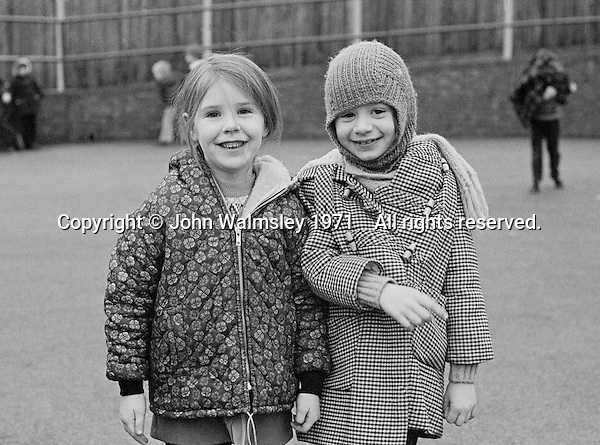 John Walmsley, Education Photos: 1967 to the present day. I particularly like shooting in failing schools where they make large prints of the photos and hang them around the building. The students love seeing themselves in such a positive light. It helps lift their self-esteem and can even bring in parents who've never been through the gates before. I've always been interested in education and in the everyday. My work is held in the Permanent Collections of the National Portrait Gallery, London and the Bibliotheque Nationale, Paris. Starting out, my final year project at Art School was published by Penguin Books (1969) as "Neill & Summerhill: a Man and his Work" with text by Leila Berg, on the well known "Free school" in the UK. Then I built and ran a public darkroom at Digswell Arts Centre and was a part-time lecturer at the Architectural Association School of Architecture in London. Also, various Arts Bodies funded exhibitions in the UK & Europe and many projects in schools. Currently, I'm editing several stories from the 60s and 70s to publish as eBooks. These will include a new version of "Neill & Summerhill: a Man and his Work", "But What do you do During the Day? ", life as an actor at the Salisbury Repertory Company in the early 70s, with an introduction by Maggie Smith, The sit-in at Guildford School of Art, 1968 and many other shorter stories. Click the " T&Cs " button at the top to read the Bapla/NUJ T&Cs under which all photos are supplied. By using this website you confirm you have read and have agreed to be bound by them. Sylvester Gordon Boswell, Romany, 1970. Special Olympics: "Beyond the Stars"